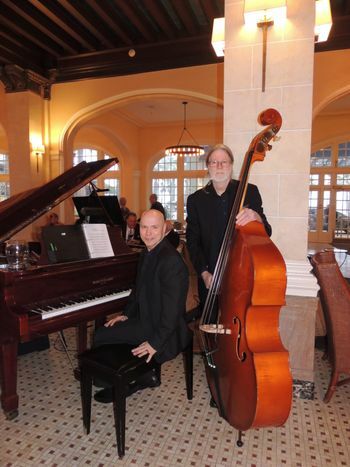 Jazz Duo Reg and Cary will perform on Fridays and Saturdays from 5 to 10 p.m. at the Galvez Bar & Grill at 2024 Seawall Blvd., where Reg Loudermilk can be seen on standup bass alongside Cary Eaves at the piano performing popular jazz standards in the bar area. Performances are free and open to the public and will continue through the year. Longtime pianist Joe Sewell continues to perform at the Galvez Bar & Grill and can be seen on Wednesdays and Thursday from 6 to 10 p.m.
Hotel Galvez & Spa’s sister hotel, The Tremont House, offers a jazz series on Fridays and Saturdays from 6 to 10 p.m. with Trio du Jour at the hotel’s 1888 Toujouse Bar, located at 2300 Mechanic. Trio du Jour consists of pianist Leah Stonum, bassist Mel Drybread and a guest artist. The Tremont Jazz Series is free and open to the public. The hotel offers an expanded Martini menu on Jazz nights in conjunction with this series. The hotel’s Rooftop Bar is also available and open Tuesday through Saturday evenings (weather permitting). Loudermilk has played a variety of musical instruments over the years including guitar, tuba, drums, percussion and standup bass. During his service in the Marine Corps in Vietnam, his group was invited to play at the Arthur Godfrey Talent Show in Da Nang and the Hospital Ship Hope. Later, he studied music at North Texas University where he learned bass. In Galveston, he’s been part of Barqentones, which is the Tall Ship Elissa band, Crashboat Rodeo, and, most recently, the Island Jazz Project with Bryan Guevin. He’s also been seen at open-mic performances at the Old Quarter Acoustic Café. Eaves also plays several instruments, most notably the piano, trombone, and bass. He began playing piano and trombone at an early age and has played for more than 40 years in many venues throughout the country. He studied music at the University of Texas at Arlington and the University of North Texas. Both hotels offer courtesy valet parking to bar and restaurant patrons. Galvez Bar & Grill also offers courtesy parking in the north parking lot located on Avenue P.
The Tremont House, A Wyndham Grand® Hotel, is owned by the Cynthia and George Mitchell family as part of Mitchell Historic Properties. The Tremont House is a 119-room boutique-style hotel located in the heart of The Strand National Historic Landmark District and Galveston’s Downtown Cultural Arts District. This historic hotel features 14,000 sq. ft. of meeting space, a bistro-style café, fitness center and two bars for entertainment – the 1888 Toujouse Bar and The Rooftop Bar. For reservations, call (409) 763-0300 or visit www.TheTremontHouse.com. Jazz Duo Reg and Cary can now be seen at the Galvez Bar & Grill on Fridays and Saturdays from 5 to 10 p.m. Courtesy Photo. 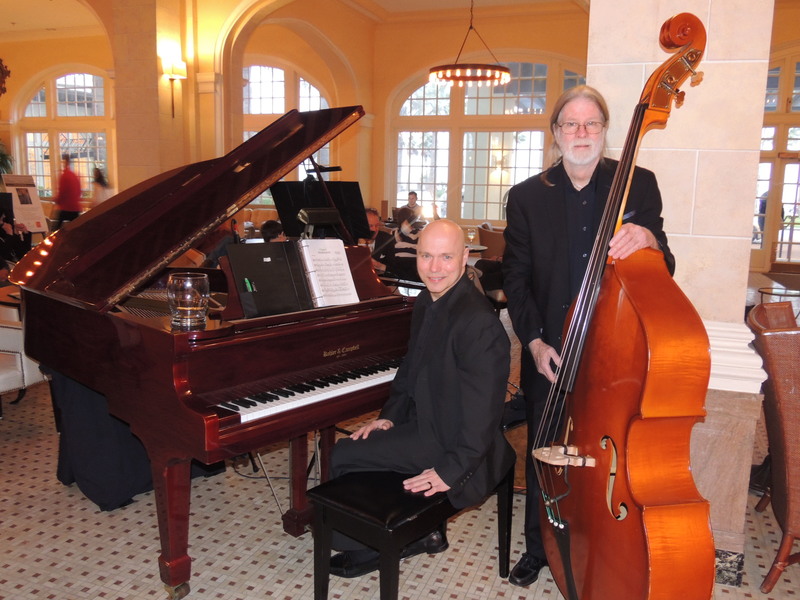 Jazz Duo Reg and Cary bring the smooth sounds of live jazz to the Galvez Bar & Grill every Friday and Saturday from 5 to 10 p.m. Courtesy photo.